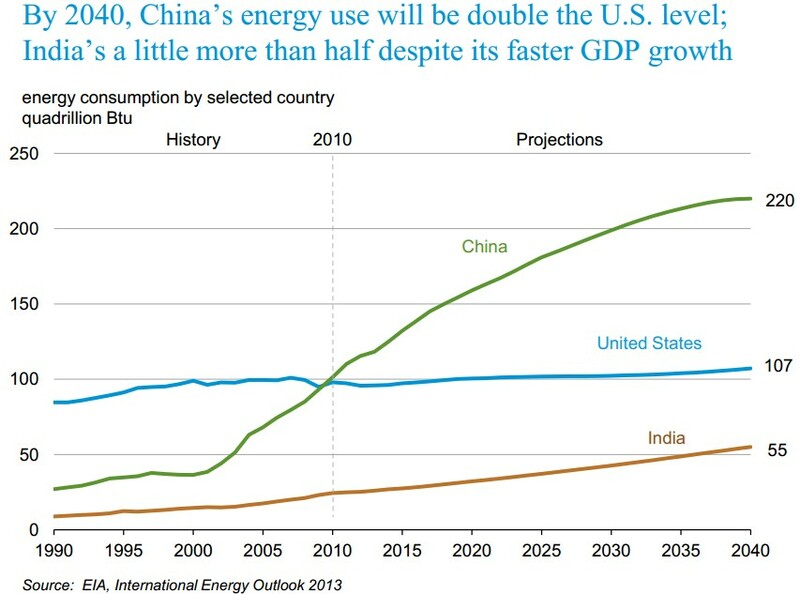 Yesterday, the U.S. Energy Information Administration (EIA) released it’s annual International Energy Outlook 2013, in which it projects that world energy consumption will increase 56% by 2040. The report cites growth in the developing world as a primary cause for the increased energy demand, with over half of the total world increase attributable to China and India. 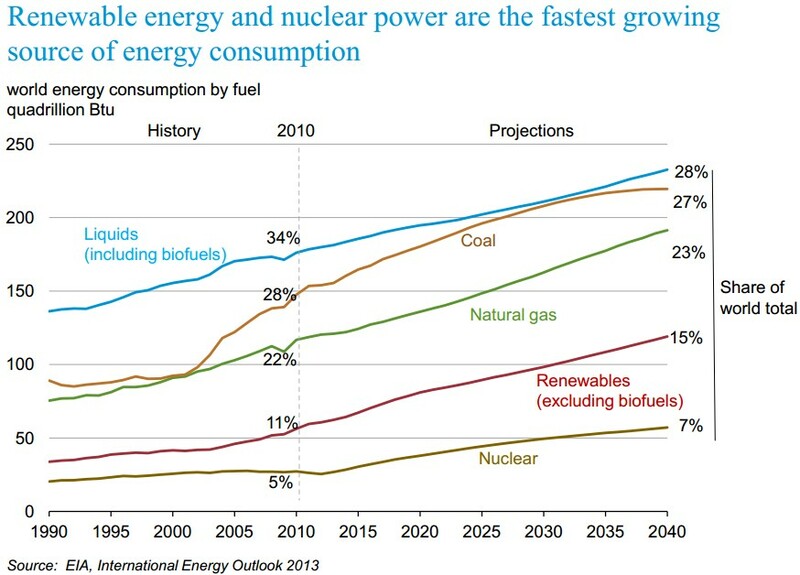 The fastest-growing energy sources are renewable energy and nuclear power, each growing at a rate of 2.5% per year. However, despite the solid growth in those sectors, fossil fuels are projected to still satisfy almost 80% of the world energy demand in 2040. 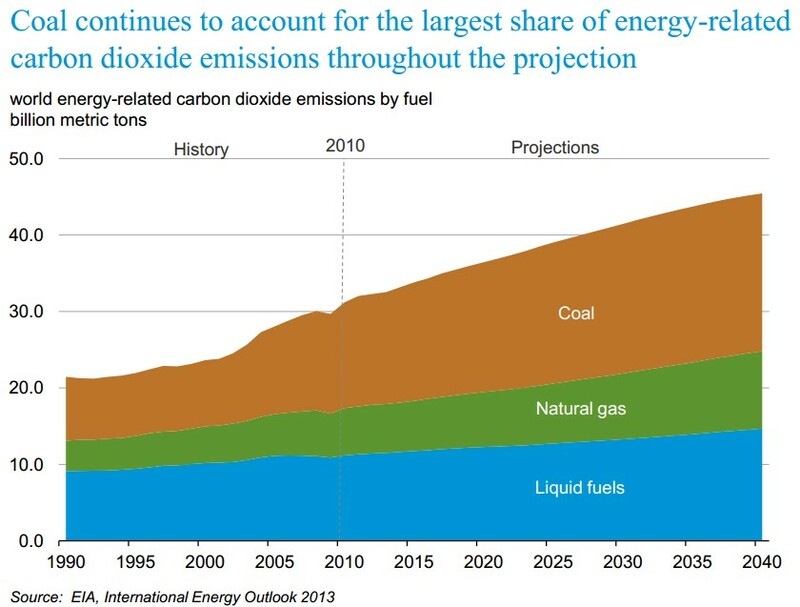 Accounting for the fossil fuel consumption projections, the EIA forecasts that given current policies and regulations, greenhouse gas emissions will increase 46% to 45 billion metric tons by 2040, with Asia accounting for 70% of that increase. For more, see EIA’s press-release presentation, the report available on EIA’s website. Mr. Gordon is an Energy Policy Analyst at EPIC. His contributions to EPIC focus largely on energy and greenhouse gas emissions modeling. Recent work includes aiding in the design and development of a community-scale greenhouse gas emissions model, capable of forecasting both business-as-usual emissions levels and dynamic mitigated emissions levels for each city within the San Diego region.